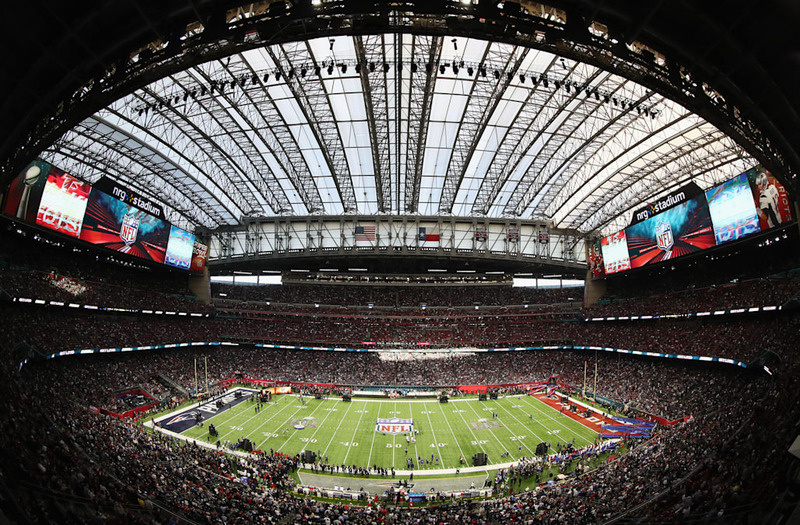 Everything about the Super Bowl is big, and that includes the prices for food and drinks at the concessions during Super Bowl LI at NRG Stadium in Houston. Several people at the game have posted photos of the concession prices, including Will Brinson of CBS Sports. Cocktails are $15, or $30 for a double. Domestic beer in a bottle is going for $12 and wine in a glass is $11. As far as food goes, a burger is $16, a footlong hot dog is $10, a regular hot dog is $8, a chicken sandwich is $16, fries are $7, or $10 if you want them topped with chili and cheese. Cotton candy is $6, peanuts are $7, and a bottomless popcorn will set you back $15. Soda in a souvenir cup is $11 and a bottle of water will cost $6. If you want some of the fancier items, this hot dog costs $12. Fries covered in chicken and other toppings are $14. Cheetos popcorn is $11, but it is not bottomless. Nachos in various state of dress will cost you $14. Some sandwiches are as much as $19. Lemonade will cost $6 or $8, unless you want a shot of liquor in there, and then it will cost you $15. Here are some more prices from WSB-tv.